Is dairy good or bad for us? Saturated fats are fats what are bound to hydrogen up to their limit, making them straight and able to be compact and therefore solid at room temperature. Saturated fats are mostly found in animal products such as meat and dairy such as cheese, butter although other sources include coconut oil. Saturated fat whilst often villainised for stigma relating to heart disease may actually prevent it as it: ‘reduces amount of lipoprotein (a) which correlates to heart disease’ (http://tim.blog, 2009) they also increase the level of HDL (good cholesterol) Interestly, the same source cites that studies have shown that women who diet and consume saturated fat lose more weight then counterparts – perhaps due to the role it plays in satiety and enjoyment, keeping us feeling fuller for longer as the fat cells take longer to break down in the stomach. Saturated fat has also been shown in research to encourage the liver to get rid of fat, clearing the liver and protecting it from the effects of toxins such as alcohol. A clean liver helps fat loss further by supporting the body’s metabolism. And if you can imagine the metaphor of a well oiled machine, perhaps this isn't far from the truth?! The better the body works, the more healthier it becomes in function, appearance and weight. On top of this, as 80% of our brain is fat, it makes further sense that studies show increased brain function with saturated fat especially during pregnancy and nursing. Plus, on the topic of wellness, let's not forget fat's impact on our immune system; the immune system benefitting on a cellular level as a lack of fat in the cell can hamper white blood cells ability to detect invaders and thus respond quickly and effectively to viruses. Non-saturated fats are fats whose ‘tail’ end of the compound includes double bonds which cannot connect with as much hydrogen and therefore has bends and kinks in it’s structure causing it to be fluid at room temperature e.g. olive oil, canola oil, peanut oil nuts and avocados. They are generally seen as healthy fats as they help reduce the risk of high blood cholesterol – although it is important to check they have not been scientifically manipulated into hydrogenated trans-fats such as hydrogenated cooking oils which are the true villains of the fat family, being artificially changed to prolong shelf life with the effect of raising bad cholesterol on the body. There are two types of non saturated fats identified by their chemical compounds: monounsaturated and polyunsaturated. Can be found in olive oil, avocados, eggs, red meat and nuts such as almond, cashew, macadamia nuts and pecans. 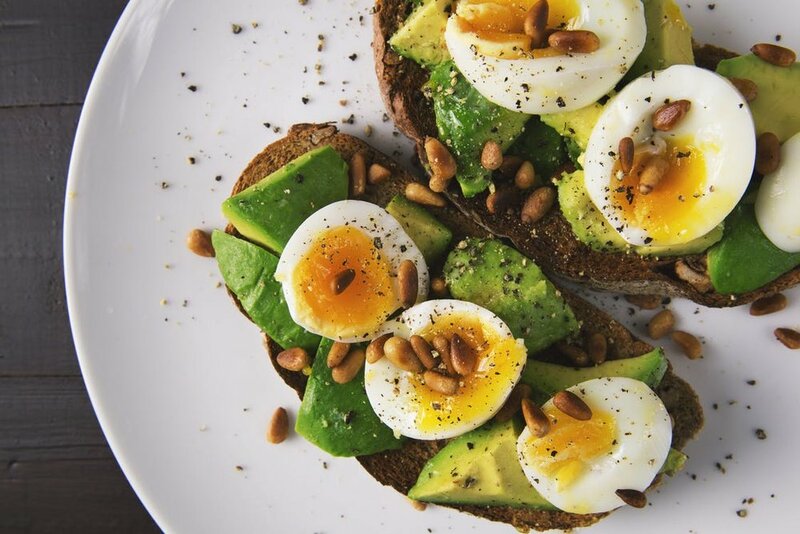 Research shows diets with healthy levels of this type of fat shows decreased risk of breast cancer, heart disease and stoke, reduced cholesterol levels, weight loss, less joint pain, mood improvement, better joint mobility and reduced belly fat. Historically, in caveman times there was a fairly even balance between the two and barely non-existent heart disease. It seems when mankind learned how to refine their nuts and seeds into oils, the balance shifted towards Omega 6 - and while Omega 6 is good for us generally, there would appear to be a correlation between the balance of these two and healthy heart. So we're a little bit off course with this.... never fear, begin today with adding sources of omega 3 to your diet to balance to equation including fish such as salmon, tuna, sardines and anchovies; flax and chia seeds; walnuts and grass-fed meats and egg yolkds. Other options include wide variety of available supplements that may be omega 3 supplements or fish oil supplements such as cod liver oil although it is always best to consume nutrients from natural sources. According to the website Draxe.com (2018) Too little omega three (or perhaps simply and imbalance with omega 6) can result in inflammation, higher cholesterol, digestive disorders, allergies, arthritis, joint and muscle pain, and a decline in mental health and mood. The benefits however are better heart health, stabilisation of blood sugar, lowered inflammation, balance of cholesterol and improving mood and cognitive function. Even skin can be improved with omega 3 as omega 3 fats regenerate tissue much better than omega 6 fats that must be used as an alternative if Omega 3 is in short supply. We tend as a culture to consume more Omega 6 naturally in our diets however to keep those sources healthy in nature go for sunflower, soybean and sesame oils, nuts such as walnuts, pecans, brazil and pine nuts and sunflower seeds. So there you have it, a whistle stop tour of why fats are healthy (except of course those pesky trans-fats) and what type and where to find them for optimum health! Dr. Axe. (2018). 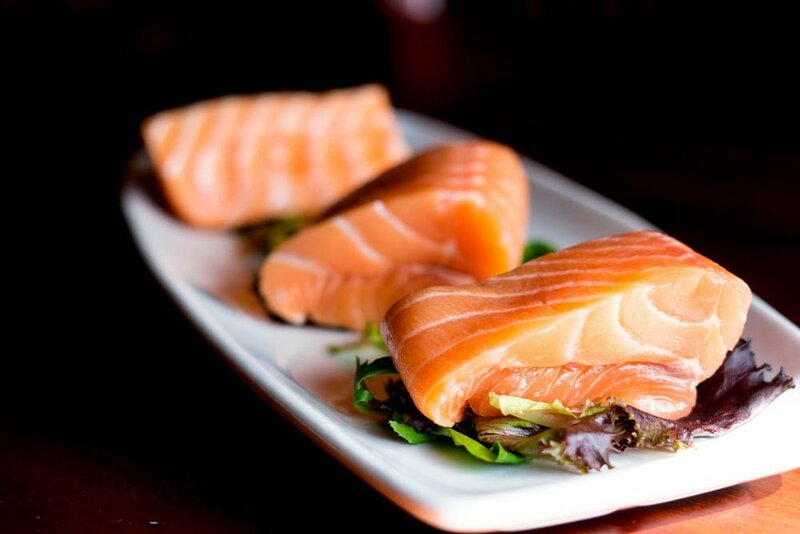 15 Best Omega-3 Foods You Need. [online] Available at: https://draxe.com/omega-3-foods/ [Accessed 13 Feb. 2018].